A Very Old Man with Enormous Wings is also a short story by Gabriel Garcia Marquez that trapezes around magic-realistically, playing out the essential emotions of life – joy, sorrow, pain, grief, fear, cruelty, tenderness, wisdom, rhythm, death, love, patience, strength, mess, freedom – gently and pithily. Prateek Vats’ film sparkles around like a parable while borrowing the name from Marquez’s story and keeping the essential emotions of that story and consequently, life intact. 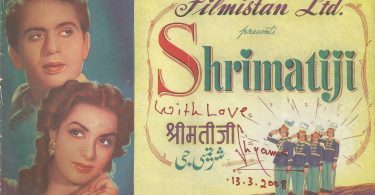 The film is a portrait of Manohar Aich, the 4 feet 11 inches “Pocket Hercules”, India’s strongman, bodybuilder and the winner of the Mr Universe title in 1952. 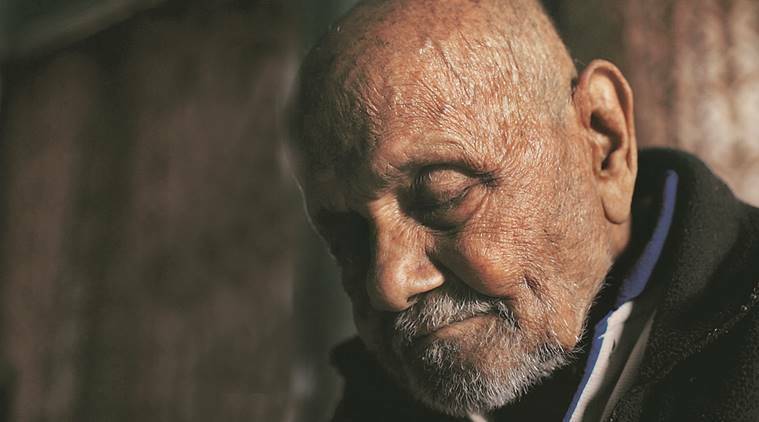 The 72 minute film catches him in his twilight years, at 102-103 (Aich passed away in 2016, at 104 years) and decides to take the powerful route of poetry in motion instead of a sequential or narrative biography. It is a delicate, nuanced, impressionistic film that left me deeply overwhelmed. Much like another film Fifi Howls From Happiness, a 2013 docu-feature by Mitra Farahani on the celebrated Iranian artist Bahman Mohassess in the twilight of his years with a lived life and a body of work that is not only an inspiration but an invitation to life itself. I stumbled upon both these films around the same time wherein despite a sense of loss that underlines most of the scenes of the films, the loss doesn’t spell out regret or bitterness but draws you in into the worlds to embrace, to love, to live and to be joyous. Loss is often joy! Loss can also be funny. Often in retrospect! That is what spells out the human nature, the way we chart out every moment, from the most banal ones like eating a meal to the most celebrated ones like creating a work of art whether a painting or a body like that of Manohar Aich. Prateek Vats does not make a film only about the man. He makes a delicate film with the man just like Farahani makes Fifi with Mohassess (and another notable film that I must absolutely mention – The Spider, the Mistress and the Tangerine, a docu-feature on the celebrated French-American artist Louise Bourgeois by Marion Cajori and Amei Wallach where the filmmakers make a film with Bourgeois and it is a fascinating journey), both navigating their subjects with honesty and compassion. It turns the films into a journey that the viewer is sucked into and partakes in as his or her own journey of sunsets and sunrises. A Very Old Man with Enormous Wings is a riveting film. It is quiet and so delicate that you can almost hear the camera breathe. As Vats walks Aich up the stairs in a scene, slowly, very slowly, the camera near-imperceptible, you sense an intimacy with the man who once flexed muscles and still hasn’t lost his charm at performance, both subtle and not-so-subtle. There is also the everyday banality and the sometimes casual cruelty of the family members who are often at their wits’ end when taking care of the stubborn, flighty man. And there is grief and joy; grief at having lost time, the body, the country, the life-partner, the strength. And joy at having lived a life worth telling. Joy also as a viewer marveling at the story and the subject, at the craft and the art that is this film. It’s timeless. It is also a love story just the way all stories dealing with loss and time are. When Aich tells you in a scene that he has forgotten everything, that it has all become mixed up, and Vats reveals him through archival footage of the time when he was celebrated, when his wife was by his side, when the only thing that mattered was his obsession, body-building, your heart alternately stops and skips many beats. These are love stories! What else can you call them? There is a rhythm to the assured unhurried pace of the film. It is not galloping to go anywhere and yet the journey is so palpable, with rich details in every frame that is not trying hard to fight each other out and yet every detail is striking, from the way Aich drinks from a cup that has his name engraved on it, to the way he silently plays with his dog and his grandson (or is it great-grandson? It doesn’t matter), the way he takes a selfie of his wounded head after a fatal fall; the silence and the sound-design that embraces this silence gives you many visceral layers. The edit and the cuts are startling too. I won’t reveal much of the film’s story in this piece but suffice to say that the rhythm is like a heartbeat, many heartbeats. That’s what makes a film a genuine work of art. Prateek Vats lets the events in the film unfold nonchalantly and yet the nonchalance has a startling energy in the way the story is being told. That energy reveals a strong control over the craft in every department and yet how they magically mesh in like the colors in a painting by Mohassess or the materials in a sculpture by Bourgeois. To view an excerpt of the film, click here.